The next big trip is booked, but you still need a suitable travel backpack. 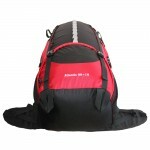 With the travel backpack Atlantis 90 + 10 by Outdoorer all your wishes will be granted. It has a volume of 90 litres for your gear and as a particularly practical highlight it has front access to the main compartment. So you no longer need to take out half the contents of the backpack to get to what you need. The travel backpack Atlantis 90 + 10 by Outdoorer is available at Amazon. 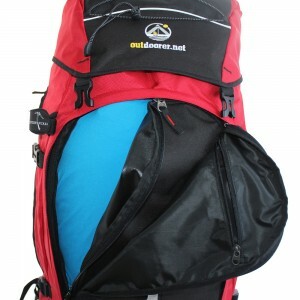 The big travel backpack Atlantis 90 + 10 by Outdoorer is the ideal companion for extended trips. With a 90-litre volume you are guaranteed never to run out of space. Even if you can’t fit everything in it, the rucksack has many attachment loops outside. 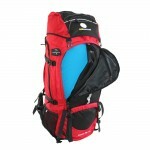 Even as a backpacker you need to carry your rucksack on your back over long distances. It has to adapt your body perfectly. For this reason, Outdoorer has equipped the Atlantis 90 + 10 with an 8-way adjustable suspension system. 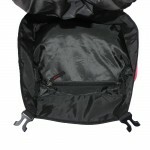 This allows you to customize the backpack perfectly to your back length. It’s not just the carrying system which can be individually adapted; all supports, belts and straps can be set individually. 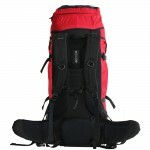 As you know, with a good backpack, the shoulders do not carry all the weight, the majority is on the hips. 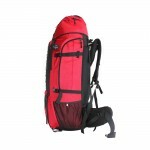 Therefore flexible hip fins are particularly important with travel backpacks. With a large backpack on your back you can quickly work up a sweat. 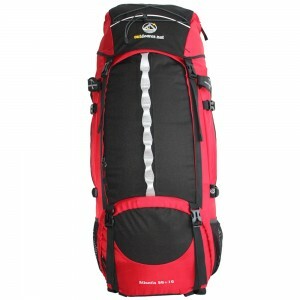 Outdoorer has therefore provided its rucksack with an air channel along the spine and s-shaped straps with a mesh surface. Unpleasant perspiration is therefore reduced. 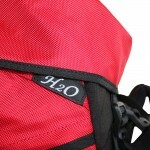 Due to popular customer demand, Outdoorer 90 + 10 has created something special for their Atlantis rucksack. You have access to both parts of the large main compartment not just from the front, but also from the top. The large front opening is hidden behind the zip pocket on the front. 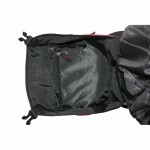 As an additional protection against thieves a double zip is used both for the front pocket as well as for the access itself. Simply attach a lock to it and thieves will not be able to steal your valuables easily. With such a large backpack it’s easy to lose track of where everything is located. Smaller objects can therefore be stored in one of the many zip pockets. These are located respectively on the two sides and in the lid. On the sides, there are two more mesh pockets for drinks. There is hardly anything more annoying than equipment getting soaked through because the backpack was not waterproof. With the travel backpack Atlantis 90 + 10 by Outdoorer, this will not happen, because it has a water-resistant coating. Short rain showers do not matter. If there is continuous rain, we recommend that you use a rain cover. Where to buy the travel backpack Atlantis 90 + 10? 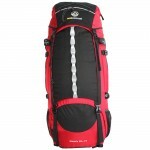 The travel backpack Atlantis 90 + 10 is available in our Amazon store.